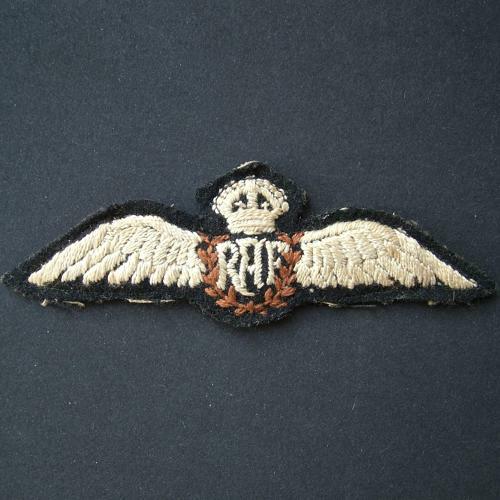 Padded pilot wing in oatmeal coloured thread on black felt. Fine cotton backing. Light soiling. A superb wing in lovely condition. Stock code M212457.